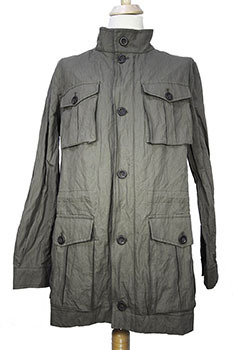 Novemb3r 'Sage' military style parka in an amazing cotton and metal fabric. High collar. 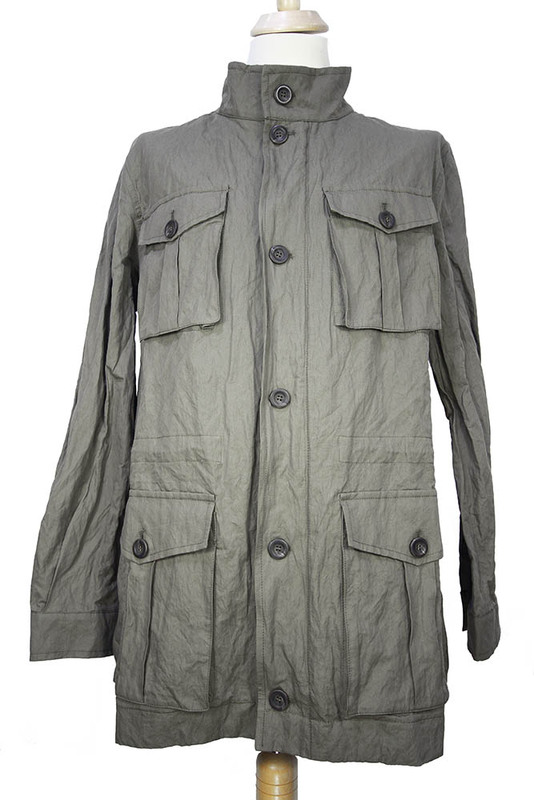 6 button and zip fastening. 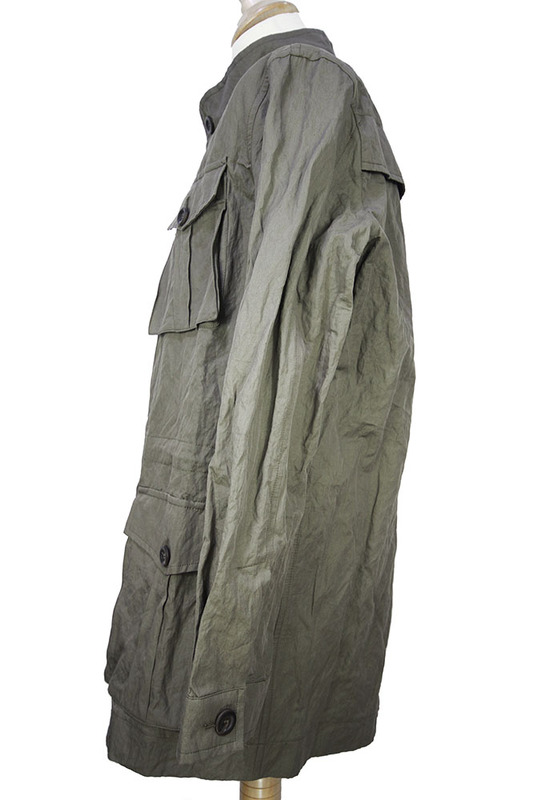 4 large concertina pockets, with flaps and button fastening. Single button cuffs. All inner seams are taped French seams. Double layer detail at rear. 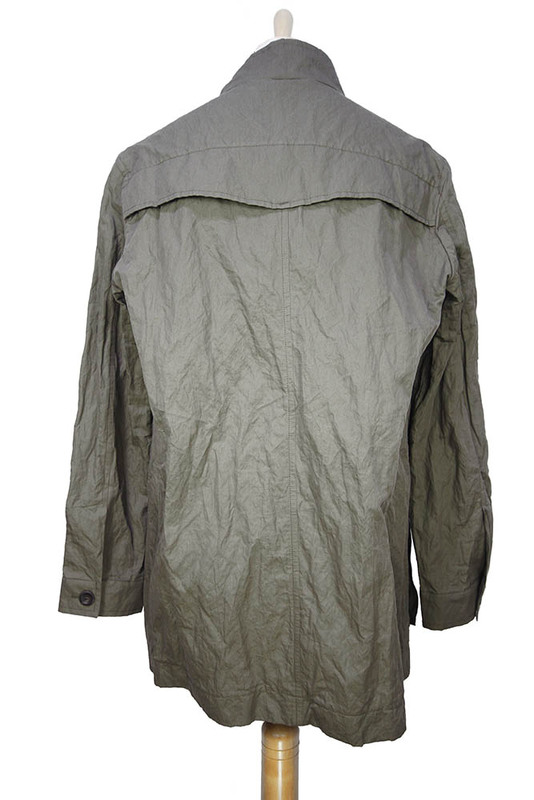 Great parka in a wonderful Summer weight fabric.